Contest is closed - winners will be chosen shortly. Check back for other design contests beginning soon! Want a new look for the New Year?? 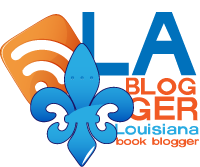 Enter the New Year - New Blog Design Contest right here at Parajunkee's View. 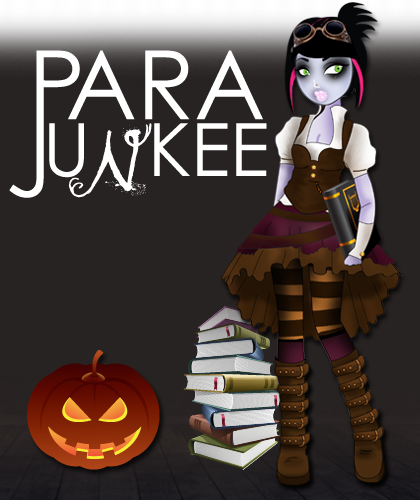 If you didn't know by now, Parajunkee doesn't just read, she is also a web designer (graphic designer, illustrator) by trade. And now you can win some Parajunkee Design! With that combination you basically get a whole new blog design. This design work retails at $90 So Enter Now! 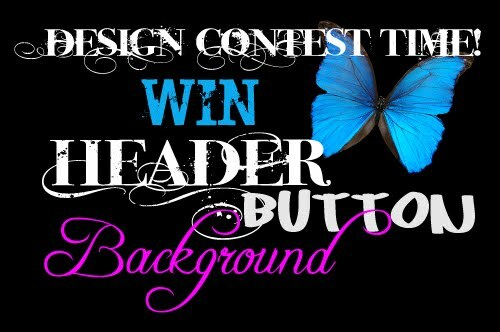 As the winner you will be provided with a static (just the image) header, blog button and a background image, files will be hosted on flickr.com (or a host of your choice), I will guide you through the HTML part if you need it. 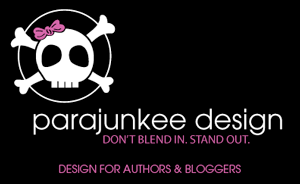 +1 Tweet : RT New Year - New Blog Design Contest -- @Parajunkee http://tinyurl.com/ya7svsy Header, Button Background Combo! +5 Display my button the Parajunkee's View Button or Parajunkee Design your choice! Thanks for this and wow, congrats 436 followers, well deserved. You can totally get to 450! I'll start tweeting to get the word out. I'd love to win this one-- My Blogger template is fine, but it could use some juice. And I can't find any good art of bookish Calico Cats anywhere! Well, I'm off to work on my entries and then your embedded form. Thanks for the chance to enter and for providing this service to the winner! Terrific contest!! You have such clever, creative and awesome designs (skulls with pink bows - how cool is that?) I love to see your work! 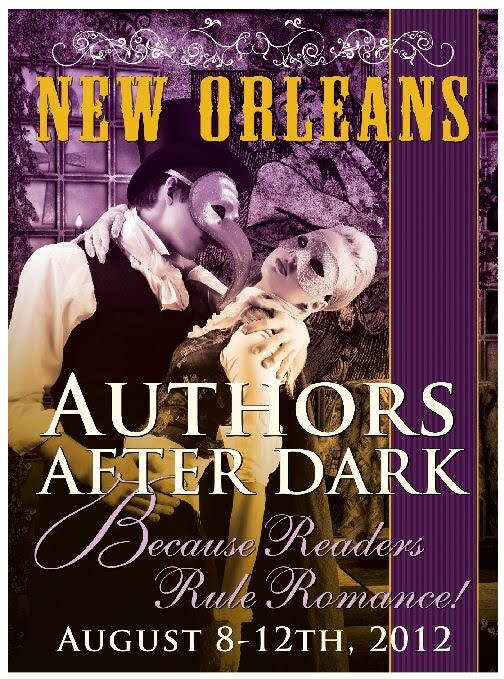 I first saw it on Teens Read and Write and was hooked. I wish I could afford it on my own but I'm happy to promote your work. Congrats on all your followers! This contest has me drooling! Up to 438 followers! You are so going to get 450! I totally want to win this! I need something original on my blog!! Great contest! I would be soooo excited if I won! Thanks for such a great opportunity. I love this contest!! Good luck to all who entered!! Can't wait to see the design! This is an amazing contest! Thanks for offering it! This is an amazing giveaway! Your blog designs have been amazing to see. Thanks for the generous offer! up my blog could use some work!! This is a great contest thanks for adding it. I know you'll be making 45o followers very soon. ....well it doesn't hurt a girl to ask does it??? Great contest, I'm going to enter too. Awesome contest, your designs are GREAT! I'm more interested in how you got the picture in the url to show up ... I worked on that for hours and still nothin. Some help perhaps? What an amazing opportunity! Great idea for a contest. This is a great contest. Thanks! Thanks so much! I have my fingers crossed! I am new to all this so any help will be great! This is so awesome! I have a generic design so it would be awesome to be personalized and to have my very own everything! Thanks for the contest! Awesome contest, sorry I missed it! Is there a current contest going on? If so, where do I enter? I love your work!